Forces TV, a new channel all about the Armed Forces, has launched on Sky, Virgin Media and Freesat. This new factual channel focuses on the work of the Armed Forces and the world of defence. It is aimed at the UK Forces community, whether you are an Army family, soldier, Reservist, veteran or raise money for military charities. Forces TV will cover news, live events, features and documentaries about every aspect of the Armed Forces from operations to family life; both Sky and the BBC support the channel and will provide content. The Prime Minister has welcomed the new channel. David Cameron said: “As more of our troops come home, it is vital that we do not lose touch with the amazing contribution that our Armed Forces have made and continue to make. Nick Pollard, Chief Executive of SSVC who produce the new channel, said: “The new channel will bring the UK viewer a 24-hour-a-day picture of everything the Forces are doing with great access behind the scenes, allowing the public to see an unprecedented picture of the military world. Early programmes include a documentary series with 3 Para, an exclusive production of the play The Two Worlds of Charlie F about soldiers injured in battle and a special behind-the-scenes look at the Royal Hospital, Chelsea. 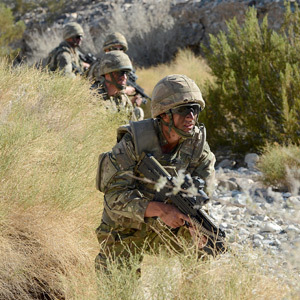 To find out how to watch Forces TV, or to get the latest Forces news at the click of a mouse, visit www.forces.tv today.